My favorite vacation spot is Ouray, CO, and I’m lucky because it’s only two hours away. It’s dubbed “Little Switzerland” and has gorgeous majestic mountains surrounding the small valley town. I absolutely love the views and slow atmosphere in this quaint town. When my husband, Justin, and I go on our weekend getaways once a year, we sit by the pool and I describe it like this; we read, we look up at the peaks, we look down and read some more, we look up at the peaks, repeat. We soak in the quiet, we soak in the beauty that fills our souls, we eat at unique restaurants, we RELAX. 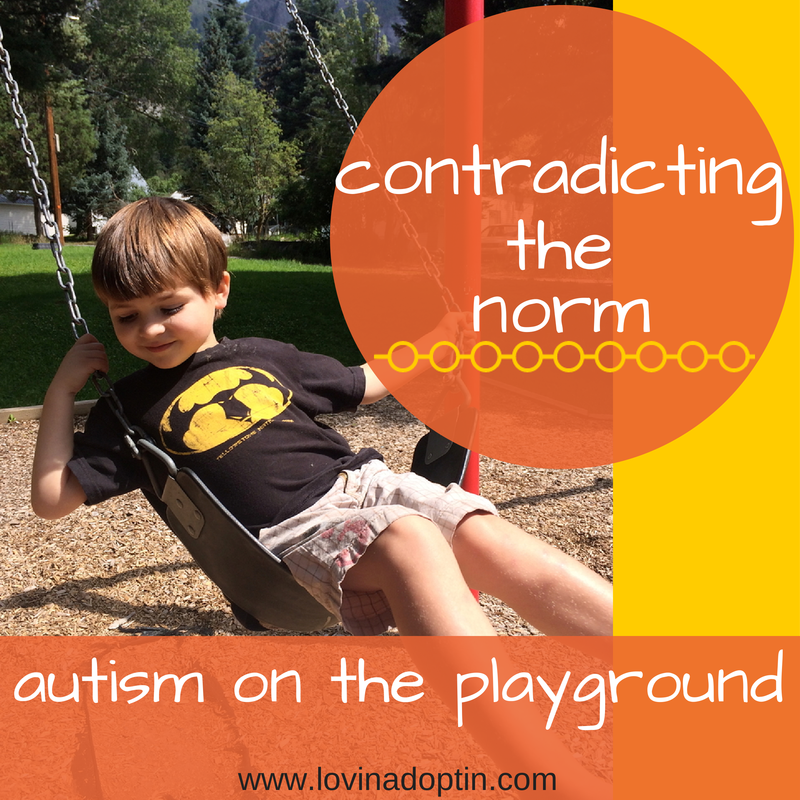 But what do we do when we take two kids ages four and six, and one with Autism? Makes it much more complicated. Our life is planned. We have a way we do things, we’re all fairly Autistic, or maybe Justin has conformed to Jeremiah’s and my quirks. We have places we like to eat, we know what we can do with the kids, we know what works…for the most part. We used to love this park by the hot springs, but that’s been crossed off the list because Jeremiah LOVES swimming, and now that he’s understanding more, he notices the pool and only wants to get in. Don’t really blame him. So, thankfully the last time we were there we found a secluded little park away from the pool. Perfect. 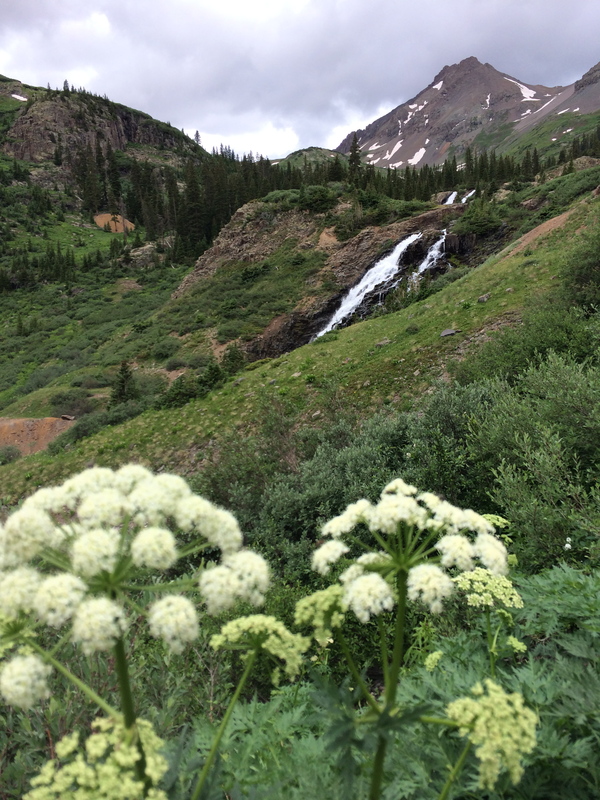 Sunday we went to Ouray. When we arrived we grabbed food from our favorite deli, Backstreet Bagel, and headed to the park. Beautiful day, stunning views, yummy food, who could complain? Going to the park has always consisted of us chasing Jeremiah. He’s a runner, an eloper, a wanderer, whatever you want to call it. He’ll walk right out of the house if we’re not extra cautious at all times. So, we’ve always needed to be within arms length or like a fit police man on steroids, ready to pounce when we’re in a public place. Anywhere other than a park, we hold his hand, or put him in a contraption. We were expecting the norm this weekend. Except guess what? It didn’t happen! Yes, I’m screaming on the inside. Jeremiah stayed in the vicinity of the playground most of the time. Several times when we called his name he responded and turned around, and there was an occasional testing of the boundaries, but that was toward the end and we’d been there for about two hours. Yeah. Awesome! 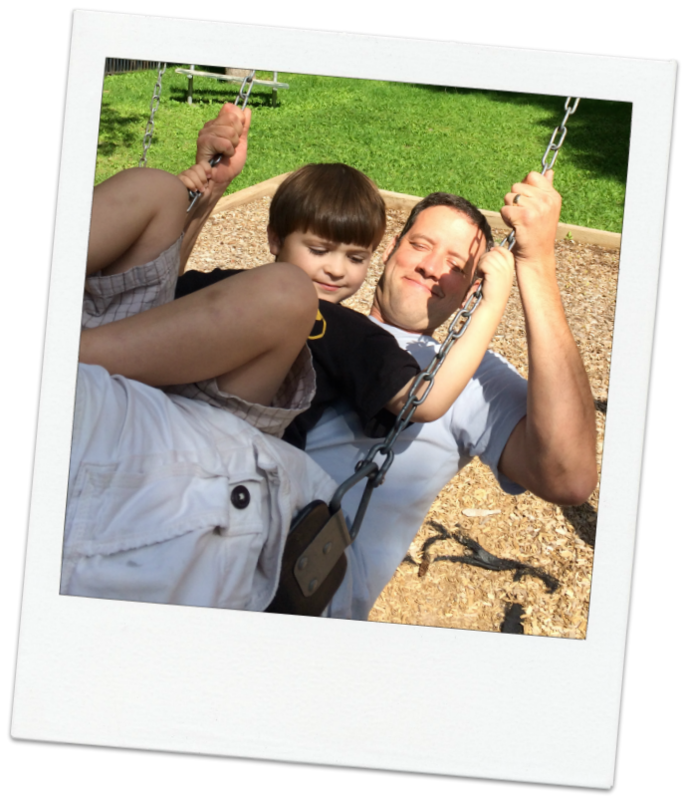 I thought it would be years before we could ever go to the park and enjoy it as a family instead of being hyper-vigilant about Jeremiah and where he was. When he comes down that slide is he going to bolt? What if he walks around the side of the play set and jets, will we be able to catch him before he reaches the road? Okay, you set up post here and I’ll go around. Although we still have to be very aware, and reading a book or looking at our phone while at the park are impossible, I’m relieved to see that outings might be morphing. Yes, he’s breaking the law, but if you can look past the CAUTION tape, you can see Jeremiah making his way through an obstacle course. Something he would normally stare at and avoid (usually the only equipment utilized at the park is the swing set). I was “cautious” at first, and in fact told Payton to stay off the steps, but when Jeremiah began traversing the wayward yellow strands, I zipped my mouth and watched. (I’m learning to do this more as it teaches me quite a lot about my child.) 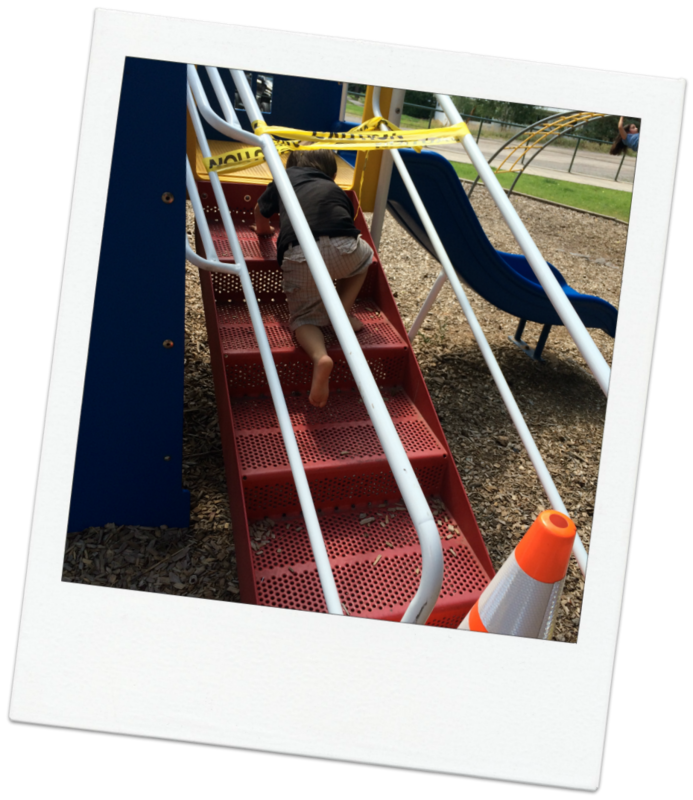 He scaled up and down those steps, and over and around the tape several times. I’m thinking our next project will be an obstacle course since he isn’t really fond of the ginormous play-set we spent a ton of money on and several weeks putting together this spring. Some stupid simple yellow tape and some steps, got it covered. Our park adventure so contradicted the norm that Justin was able to relax and played with the kids (actually we both did). It was so fun to let down our guard (a little) and play! Justin climbed on the rainbow bars with Payton and even convinced himself he should try out for American Ninja Warrior. 😉 That’s all it takes. I hope this gives some encouragement to those of you who have runners. Yes, once in a while Jeremiah still tries the door handles at home. No, I don’t trust that he won’t run into the street (he still has no concept of the danger that lurks in the road, commonly known as cars). But I have hope. I see that he’s changing, he’s understanding more. This is something we can build on, or at least for the moment it is. Wishing you a great day and some fun park adventures before summer ends. Thanks for stopping by. 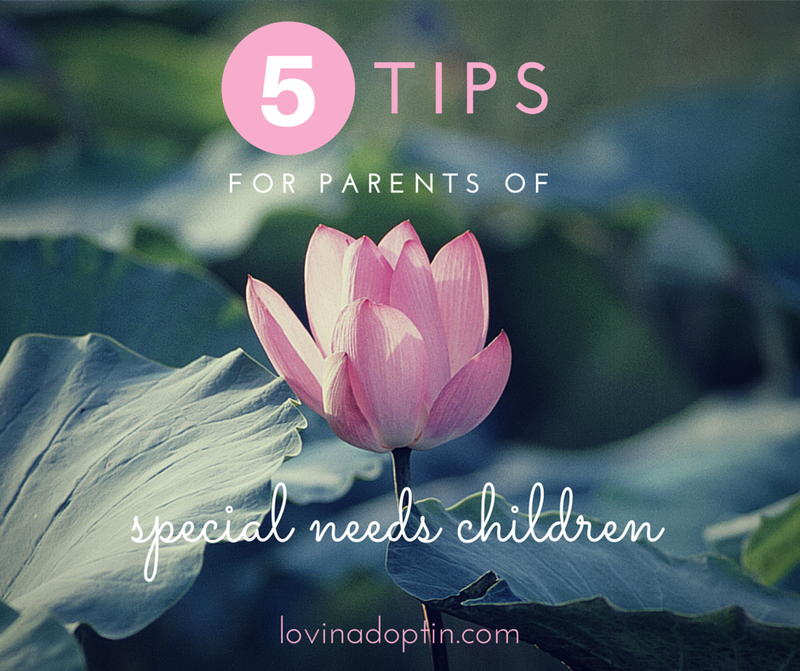 If you know other parents who would enjoy Lovin’ Adoptin’ please feel free to share. You can receive every post made to Lovin’ Adoptin’ by subscribing in the upper right corner. If you’re on a mobile device, you can do this on the web version. You can also follow me on Facebook, Twitter, and Pinterest.